With a simple, stylish design to match all your warm-weather ensembles & an advanced orthotic footbed to support the natural curves of your foot, the Kim is a healthy thong perfect for casual summer days! A sleek, effortless slip-on for comfort & support on the go with elastic-incorporated instep bands to accommodate natural foot movement! Lynco Flips are made from UltraSKY™ injected EVA to provide extreme cushioning, shock attenuation and durability. The toe post that can be so uncomfortable in so many flip flops, is specially designed with super soft foam to keep your toes comfortable all day long. With Lynco Flips you’ll feel like you’re walking on air and enjoy the most comfortable footwear experience on earth. For a conspicuous and stunning look, get the Alegria Keli Professional Print. This slip-on style women’s casual has a stain-resistant Nappa leather, embossed leather or printed leather upper. With a detachable, leather-covered cork, latex and memory foam-cushioned footbed with arch support, it delivers optimum comfort and support. 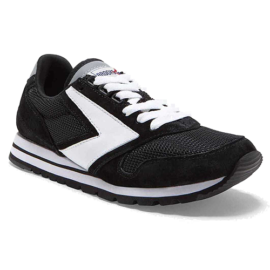 The shoe is finished with a slip resistant polyurethane sole to provide shock absorption and traction control. Combining summer elements and shimmering accents, the Alegria Keli Professional Print is inimitably versatile. Make your own style statement with the women’s Arcopedico Ellie wedge sandal. 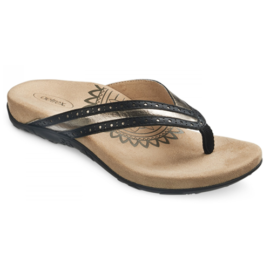 Set in Lytech upper, this wedge sandal has adjustable top strap closure that provides an optimal fit. Its Lytech lining and padded insole pamper your foot all day long. Topping all this is its rubber outsole with a wedge heel that lets you maintain a confident gait. Own this one-of-a-kind women’s Arcopedico Ellie wedge sandal for its matchless functionality and durability. 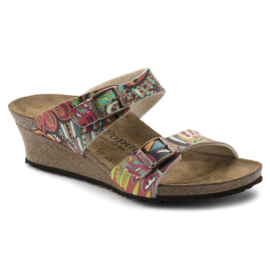 A sandal with a trendy wedge heel and colorful patterns that takes its inspiration from traditional African cotton garments. The high-quality Birko-Flor owes its lasting color brilliance to a state-of-the-art digital printing technique. The individually adjustable straps fit the feet and; despite the heel; hold them in a safe and healthy position. Style with plus points. Don’t let chilly weather stop you from wearing your favorite shoes – even if they’re sandals. The Birkenstock Fashion Slub socks are the perfect companion to your Arizonas with their super soft cotton blend and flat toe section to help with comfort. 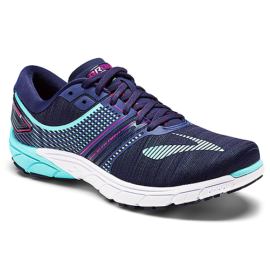 The perfect match for runners with unique feet, who need a stable ride in a neutral shoe. Lightweight support to be one with your run, for runners looking for a more minimal, connected experience. 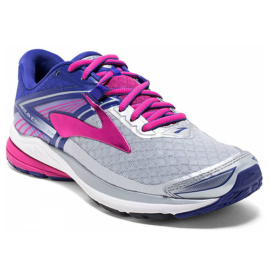 So energizing, the Brooks Ravenna 8 will keep you running. 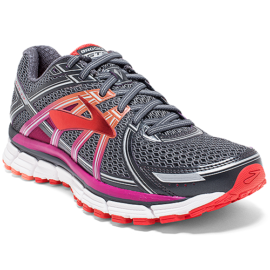 This sleek and springy ride is packed with responsive cushioning and trusted support to make any run seem short, while fast heel-to-toe transitions keep feet moving quickly from one stirde to the next.